With nine restaurants and lounges, a three-storey Spa and Wellness Centre, comprehensive business facilities and a private beach, Four Seasons Hotel Doha is a haven for business travellers and pleasure seekers to Qatar. Experience 17 storeys of modern luxury blended with classical charm. 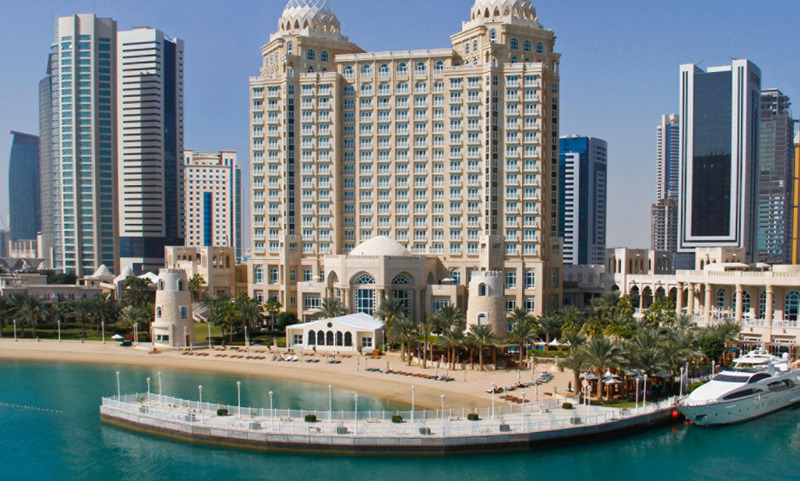 Panoramic views of city or the Arabian Gulf from the rooms. Restaurants featuring an innovative mix of Arabic, Asian, Indian and seafood flavours. Gorgeous resort on the water's edge, with many amenities and restaurants to choose from. The service throughout was professional and courteous. The spa special of an additional 30 minutes was an added bonus to our appointments, especially after having just descended from Everest base camp - the massage was much needed! Amazing hotel with beautiful pool and Beach, would absolutely recommend. Reception and concierge go above and beyond, very happy with the overall service. Amazing Service and very high levels of quality throughout. Food excellent and the fitness and Spa areas were world class! Stunning, spotless and a pleasure to stay here. Thank you. Very satisfied. A great hotel! It is a pity that it was very noisy outside and sometimes in the room due to construction activities on the hotel premises! I have to mention the excellent assistance offered by the security manager and his assistant manager when (a) a Taxi driver tried to rip me off and (b) for the very wise decision of the assistant manager to accompany me to the hospital where a minor emergency operation had to be performed. He realized that as a westerner I’ll battle to get helped so as an Arab speaker he could explain the problem to the staff and help with the filling in of forms. I really appreciate this wonderful and kind help!